Lassa Fever: Is This Why the World Health Organization Said There Would Be 10,000 New Cases of Ebola a Week by December? The symptoms are identical to those of Ebola. Fever, vomiting and bleeding all occur. Lassa, unlike Ebola is spread by infected rats, but once it has infected people human to human transmission begins. Like Ebola patients, those suffering from Lassa need to be treated in strict isolation. Ebola is not the only haemorrhagic fever that stalks West Africa. The Lassa season is about to begin. This year, like every year, around 20,000 people will succumb to the disease in the region. Lassa fever is spread by contact with bodily secretions of infected people as well as by inhalation of the dust from dried rat faeces. There is some evidence that supports the sporadic spread of the disease via infected rat bites. Like Ebola, not everyone dies from Lassa. Usually, the death rate is much lower than it is with Ebola, but there have been sporadic outbreaks where the death rate has reached 70%, albeit rarely. Every year medics and scientists struggle to contain Lassa; it’s a major focus for what health services there are in the region. This year however that focus has been taken by Ebola. Wards and medical facilities usually set aside for Lassa patients have been overwhelmed by those suffering from Ebola. Dr. Sheik Umar Khan head of the Lassa programme at Kenema Government Hospital, Sierra Leone died of Ebola in September. Six nurses and a lab technician have also been lost to the disease leaving the specialist unit direly understaffed. This situation causes two major problems. Firstly, cases of Lassa will go untreated causing a surge in deaths from the disease. Secondly, people may assume they are suffering from Lassa because of its prevalence at this time of year, when in fact they are suffering from and spreading, Ebola. At this point in the Ebola epidemic there is little point waiting for laboratory confirmation of the disease. The fact is that with both Lassa and Ebola showing the same symptoms, and with both diseases requiring treatment in isolation, the tipping point has arrived. There is no way the already overwhelmed medical facilities are going to be able to cope with the extra case load. The countries worst hit by Ebola are the same countries that suffer the worst outbreaks of Lassa Fever. There is no possibility whatever that all of these people, or even half of them can be treated, let alone isolated. The toll that Lassa takes on West Africa this year remains to be seen, but it wouldn’t be a surprise if it’s worse than usual given the lack of facilities for patients. Every coin, though, has two sides, and if Lassa patients aren’t being treated, then neither are Ebola patients. It’s inevitable that there will be confusion amongst medical staff about who has what condition. One has to wonder if it was the pending Lassa season that made the World Health Organization suggest that the death rate ‘from Ebola’ would massively increase in the latter part of this year. They predicted up to 10,000 cases a week by December. If you add Lassa Fever cases to the current rate of Ebola cases being reported that would be about right. With the projected number of isolation beds available in Sierra Leone, Liberia and Guinea coming in at 4,500 by December 1st, which disease patients are suffering from is a moot point…They can’t be isolated regardless of what it is. Nigeria, declared Ebola free just last week, is reporting an outbreak of Lassa in Oyo State. Medeciens Sans Frontieres (MSF) has already lost one doctor to Lassa according to Dr Geraldine O’Hara, an infectious diseases specialist from Huddersfield, UK. It would be insane to think that these diseases are just Africa’s problem – it isn’t. As we saw with Thomas Duncan, it only takes one infected person to slip through the net and the chain of infection starts all over again in a new place. Luckily, this time it was contained; next time who knows? Arenaviridae, is a single-stranded RNA virus and is zoonotic, or animal-borne. with occasional epidemics, during which the case-fatality rate can reach 50%. hospitals have Lassa fever, which indicates the serious impact of the disease on the population of this region. materials, through touching objects or eating food contaminated with these materials, or through cuts or sores. caught and prepared for food. reused needles (this is called nosocomial transmission).What are the symptoms of Lassa fever? Signs and symptoms of Lassa fever typically occur 1-3 weeks after the patient comes into contact with the virus. vomiting, diarrhea, conjunctivitis, facial swelling, proteinuria (protein in the urine), and mucosal bleeding. symptoms of Lassa fever are so varied and nonspecific, clinical diagnosis is often difficult. detect IgM and IgG antibodies as well as Lassa antigen. 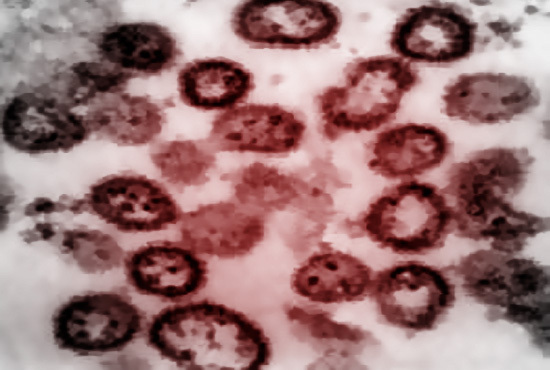 The virus itself may be cultured in 7 to 10 days. trimester of pregnancy, and for fetuses, about 95% of which die in the uterus of infected pregnant mothers. wide distribution of Mastomys in Africa makes complete control of this rodent reservoir impractical.